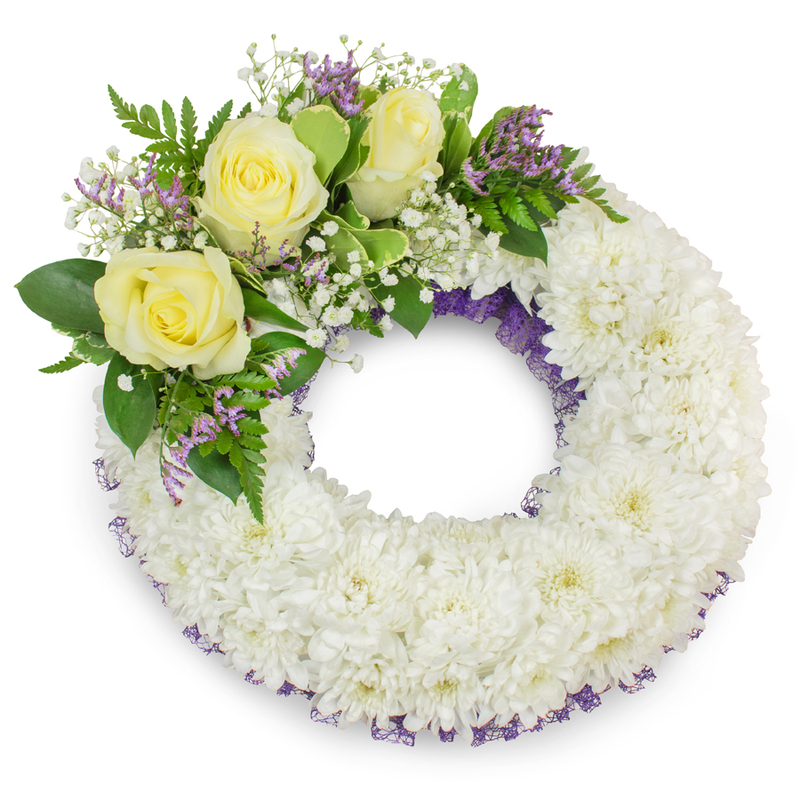 When it is time to say your last goodbye to someone very close to your heart, this lovely floral tribute made of white chrysanthemums, roses, gypsophila and statice flowers is perfect for expressing your heartfelt sympathy and love. I found this website when browsing for funeral wreath ideas. In the end, I ended up ordering because the arrangements in the photos looked magnificent. They were even better when delivered. This florist works very professionally. Prepared wonderful arrangements for the funeral I attended recently. Saying goodbye to an old friend is very hard... I wanted to order flowers to be delivered to the funeral home and Handy Flowers arranged the delivery for me. Everything was planned perfectly by them and the flowers were very beautiful. I have ordered couple of times from you and I know that I can trust you. I hope this review will help other people make the right decision and guarantee themselves a trouble-free and easy customer experience. You are totally the best! Lovely funeral wreath. It was delivered on time. Many thanks! Great prices, great selection, fast delivery. The best place to buy funeral arrangements overall.